After a week of not sewing anything I needed a quick sew to satisfy my sewing itch. That definitely meant something knit. I thought of a recent buy from LA Finch Fabric, this camouflage print rayon spandex jersey knit that I ordered with my winnings from one of their Instagram Giveaways. (See my entire haul here). When I saw this fabric I knew I wanted it to become a top but was unsure on the style. After considering a more fabric hogging tunic or dolman sleeve top, I decided that my two yards could make a tee and a tank out of my yardage with careful pattern placement. Going through my stash I noticed I have few V-neck top patterns, but I decided on Simplicity 8177 (a Mimi G for Simplicity pattern) because of its classic tee style. It featured the V-neck, short sleeves I wanted and the front pocket was a bonus. It didn’t hurt that I’ve had great luck with Mimi’s patterns in the past (here and here and here). I wanted a fitted tee which means negative ease was necessary, so I cut a 14 (37-1/2” finished bust) based on my 38-38.5” actual bust measurement. The fit is great! I used the short sleeves of View B which I sewed in flat after sewing the shoulders and that allowed me to sew the side seams from the bottom hem up and around to the sleeve hem. Next I attached the neck band. I am so mad at myself for avoiding V-neck bands for so long. This is my second one and they are not difficult. Lastly was simply to hem the sleeves and shirt. I finally took the advice of nearly everyone on social media and used hem tape to stabilize the hem before double stitching. I must say again I do not know why it took me so long to try that. It definitely made hemming this lightweight knit easier. I LOVE this fabric. It is so comfortable as it is very soft and lightweight but not sheer. I can’t wait to order some of LA Finch Fabrics’ double brushed poly knits, which I’ve heard great things about. I’ve already cut into the liverpool knit and it is heavenly as well. 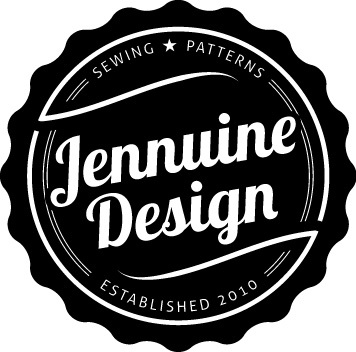 LA Finch Fabrics has a new customer in me! All in all this is a quick, easy instant gratification sew. It definitely succeeded in scratching my itch. The tank pattern is already cut out and waiting on me. I have to meet a couple of deadlines, so other projects have taken priority, but it’s coming. 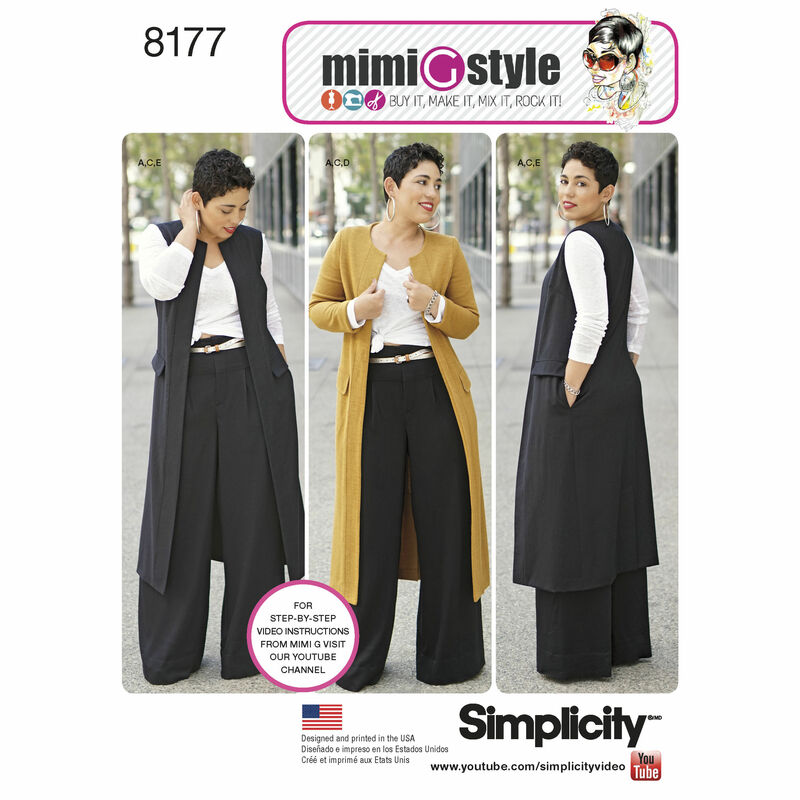 Pattern Description: Pattern features a duster length coat or vest, long or short sleeve knit top and wide leg pants with cuff and high waistband. Were the instructions easy to follow? I didn’t follow them, but I’m sure they are. As with all Mimi G’s patterns there is a sew along video available on YouTube if you have any issues. Would I sew it again? Yes, this is my go to T-shirt pattern now! Would I recommend it to others? Definitely, great beginners project. Though the V-neck could be tricky for some. Beautifully sewn! I didn’t realise t-shirts were so easy to make, I’ve been avoiding fabric with any considerable stretch, especially for a v-neckline but after reading this I really want to have a go at making one! Thank you for changing my mind on jersey fabrics!! Admittedly I learned to sew on knits because that’s what I like to wear and I’ve never really had a problem with them. However I have been afraid of Vneck bands as I’d heard they were difficult. I followed the instructions and had no issues. I believe there is another way patterns often attach them but I’ve only done it this way.